In 2015, for the first time ever, neglected tropical diseases were explicitly included in a global development framework through target 3.3 of the Sustainable Development Goals: By 2030, end the epidemics of AIDS, tuberculosis, malaria and neglected tropical diseases and combat hepatitis, water-borne diseases and other communicable diseases. There is a good reason for it: Neglected tropical diseases – a group of 20 different diseases such as river blindness, trachoma and lymphatic filariasis – affect over one billion people in about 150 countries. They almost exclusively affect the most marginalized communities in the developing world, particularly those living in remote areas without basic services and with little political voice. Two years after the adoption of the Agenda 2030 on Sustainable Development, it’s too early to measure how successful the Sustainable Development Goals have been to end the epidemics of neglected tropical diseases, but some encouraging observations and learning have already been made. The fight against neglected tropical diseases has accelerated over the last couple of years. Joint policy frameworks, coordinated program implementation and global partnerships have had a great impact on health promotion, disease prevention, treatment and rehabilitation – not least for trachoma, the world’s leading infectious cause of blindness. Trachoma is a disease which perpetuates the cycle of poverty and poor health for those who become infected. In 2011, 325 million people required treatment for trachoma. Today, that number has dropped dramatically to 182 million, roughly a 50% decrease. This progress has been possible by taking multi-sectorial approaches covering a number of the Sustainable Development Goals, and building strategies on systemic thinking, which contributes to the sustainability of programs as well. In particular, the importance of water, sanitation and hygiene (WASH) services for sustainable disease elimination is being championed at the highest level. In August 2015, the World Health Organization unveiled a global strategy and action plan to better integrate WASH services with public health interventions to accelerate progress to end the epidemics of neglected tropical diseases. The astounding progress to tackle trachoma is partly due to unprecedented scale up of trachoma programs and bringing WASH, Education, and Health partners together to tackle the problem in a concerted effort. This has been supported through tools such as ”All you need for F&E – a toolkit for planning and partnering”, a resource of the International Coalition for Trachoma Control which supports program managers working on trachoma to engage stakeholders from other/dependent sectors. In Ethiopia, creative efforts to link trachoma with other priority programs including its One WASH national program have seen the country reach a huge proportion of its at-risk population. While these approaches were not undertaken as a direct response to the Sustainable Development Goals, they demonstrate how some of the key messages promoted by the Sustainable Development Goals – such as the need to work beyond silos and the importance of global partnerships – can and do work in practice. 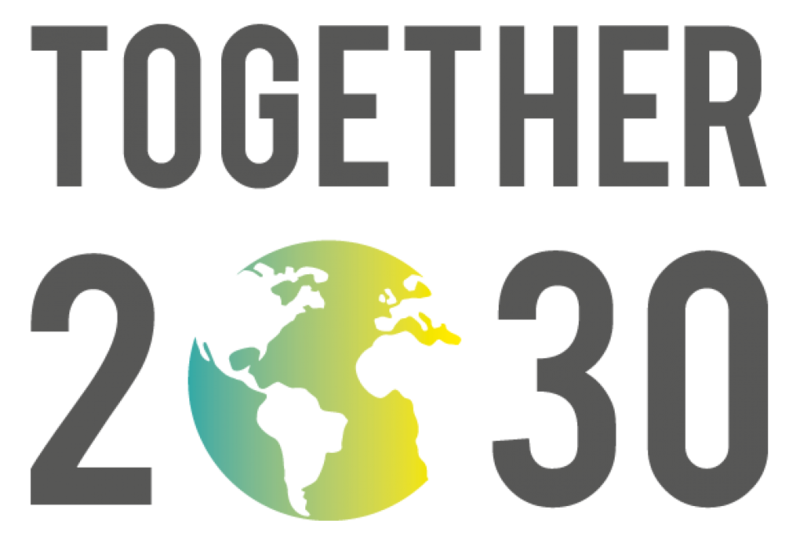 The Agenda 2030 on Sustainable Development demands transformational change to put people and the planet first, and commits to endeavour to reach the furthest behind first. The trachoma work has indeed been transformational, and the positive change is clearly measurable. Unfortunately, none of the countries affected by NTDs that have reported to the UN High-Level Political Forum 2017 on their implementation of the Agenda 2030 for Sustainable Development have included the progress made tackling neglected tropical diseases in their national reporting. This may be an indication that the links of programs – even directly related to the Sustainable Development Goals and their targets – to the national Agenda 2030 implementation strategies, monitoring and reporting have not yet been made. In the case of trachoma and other neglected tropical diseases this missing link leads to an under-representation of the success in ending the epidemics of neglected tropical diseases, which in all documents of the 2017 review process can only be found in the one sentence within the UN Secretary General’s report cited above. It also means that good practice on multi-sectoral approaches, breaking silos, and global partnerships does not get shared. The momentum and political support, the work on neglected tropical diseases has earned by being included explicitly in the Sustainable Development Goals, is put at risk. In the fight to beat neglected tropical diseases, transformative policy and programmatic expertise exists. So do the data and evidence. What is missing is the telling of the story, both in national programs to implement the Agenda 2030 for Sustainable Development and on the international level when reporting to the UN High Level Political Forum. Action by national governments to address this gap is urgently needed. Civil Society can play an important role in this. Isabella Montgomery is the former Project Manager at the International Coalition for Trachoma Control, a coalition of non‐governmental, donor, private sector and academic organizations working together to support the WHO Alliance for the Global Elimination of Trachoma by 2020. With a background in partnerships and advocacy communications, she previously worked for Freshwater Action Network, a global grassroots WASH advocacy network that worked to bring local voices into global policy processes including the Post-2015 Development Agenda. In November 2017 she became an independent consultant. Johannes Trimmel is Director, Policy and Advocacy at the International Agency for the Prevention of Blindness. Since June 2014 he is President of CONCORD, the European Confederation of Relief and Development NGOs that represent over 2,600 NGOs. He represents CONCORD in the European Commission’s multi-stakeholder platform on the implementation of the SDGs. He also serves as a member in the advisory group of the civil society engagement mechanism with the Universal Health Coverage 2030 multi-stakeholder platform. During the last 15 years of working in development cooperation he has been focusing on the rights of persons with disabilities, as well as access to eye health and health systems strengthening – amongst others as Director for International Programme Support and Policies at Light for the World and Chair of the International Disability and Development Consortium.